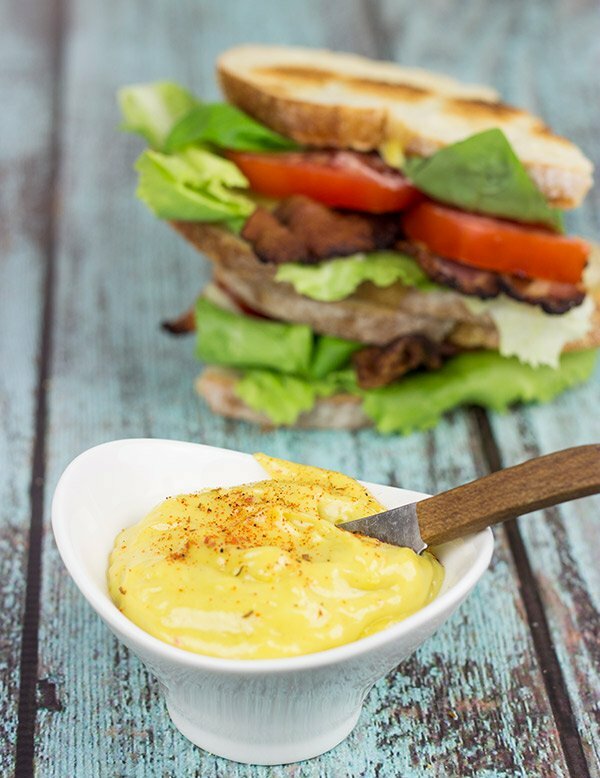 Take the classic summer sandwich up a notch with a homemade aioli! 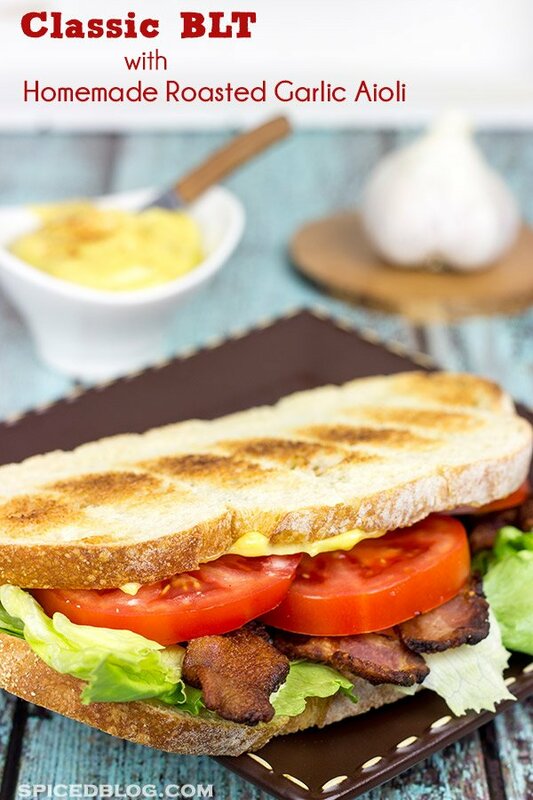 This BLT with Homemade Roasted Garlic Aioli is sure to become a new favorite! 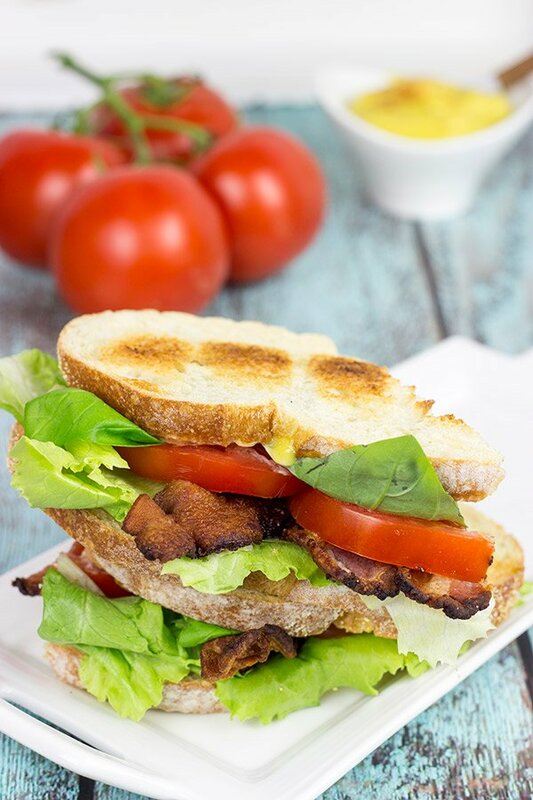 Is there anything better than a BLT for lunch in the middle of the summer? I don’t know about you, but I’m pretty much in love with bacon! Add in some crispy lettuce and tomatoes picked right from the garden, and you’ve got one of the most magical creations ever. 3-ingredients. That’s it, folks! And the result? Pure magic! Of course, I like to add a couple of other ingredients for fun…like basil and this homemade roasted garlic aioli. Homemade aioli has been on my kitchen bucket-list for quite some time now. I occasionally use mayo in the kitchen, but I tend to opt for other condiments whenever possible. Sandwiches and burgers almost always require spicy brown mustard for me. And I often substitute Greek yogurt for mayo when the recipe allows. But sometimes you just need mayo. Like for BLT’s. They just aren’t the same without mayonnaise. Make your own mayo? Say what? Yup, that’s pretty much what aioli is. A fancy-schmancy term for homemade mayo. Technically it’s garlic mayonnaise, but I decided to take it up a notch and make Roasted Garlic Aioli instead. Why? Well, mainly because I had a whole bag of roasted garlic in the freezer. (If you’ve never roasted garlic before, then stop reading this post and go read how I make Roasted Garlic Bombs. They’re ridiculously easy, and roasted garlic is such a great ingredient to have on hand.) Since that bag of roasted garlic was staring at me every time I opened the freezer, I figured the time had finally arrived to cross homemade aioli off of my bucket list. So with a pile of cooked bacon, crispy lettuce and freshly sliced tomatoes cheering me on, I pulled out the food processor and got to work. After whisking together the first several ingredients, I was a bit concerned that the food processor would be too big. The egg yolk mixture was pretty small, and the blade barely touched it. But that’s where the olive oil came in. Drip by drip, I slowly and steadily added the olive oil down the chute while the food processor was running. And sure enough, the mixture slowly increased in volume until it reached the level of the blade. After that, it was a piece of cake. I probably took about 5-7 minutes to add the 3/4 cup of olive oil, but overall I was quite surprised at how easy it was to make this Homemade Roasted Garlic Aioli. But what about the taste? Was it worth the extra effort vs just opening the jar of mayo in the fridge? Yes. Just yes. The taste was amazing! The subtle sweetness of the roasted garlic mixed with the earthy flavor of the olive oil was simply delicious. 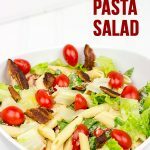 Combine this amazing spread with crispy bacon, lettuce and fresh tomatoes, and you’ve got an amazing summer sandwich that you’d swear came from your favorite deli. Homemade aioli? Check that one off the list! 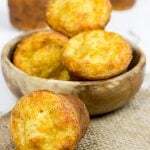 In a small bowl, whisk together the egg yolk, vinegar, lemon juice and mustard in a small bowl. Transfer mixture into a food processor or blender. Add the roasted garlic and pulse until well combined. Gradually add the remaining ½ cup of olive oil in a very slow, steady stream. Cook the bacon in a large skillet over medium-high heat until crispy, about 10-12 minutes. 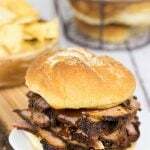 Pat the slices dry on paper towels once cooked. Lightly toast the 4 slices of bread. Spread 1 Tbsp of Roasted Garlic Aioli on each slice of bread. Layer lettuce, tomatoes, fresh basil leaves (optional) and cooked bacon on the top of 2 of the slices. Place the remaining slices of bread on top and enjoy! Refrigerate any leftover Roasted Garlic Aioli and consume within 2-3 days. You can often find roasted garlic in the condiments aisle at your local market. (Sometimes it's also available in the bulk olive section if your market has an olive bar.) You can also make your own Roasted Garlic pretty easily, too! P.S. I’m a little freaked out right now… August is bacon month and I’m going to be posting 2-3 bacon recipes every week. Guess what I had planned to post, straight down to the garlic aioli?!! 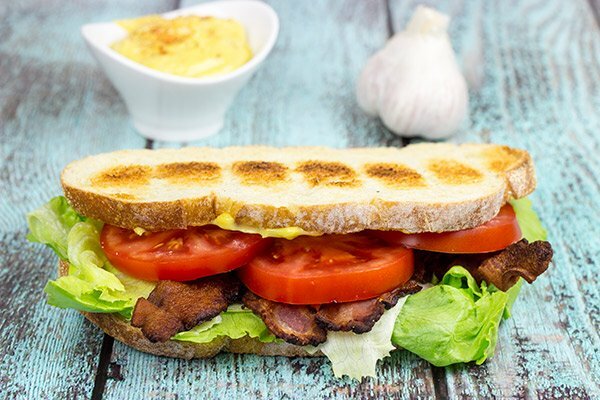 Picture this: munching on this amazing BLT, sitting on the bank of the Amstel canal with a cold Dutch beer. Awesome, right? Man, you are just rubbing it in now, Mike. You’re officially a jerk now! Haha, just kidding, I wish I was over there with you to enjoy the city. Hope you’re having a blast!